The wine shows clean lines of minerality, citrus and yellow flower notes on the nose, supported with the creamy almond and white chocolate aromas. The wine shows clean lines of minerality, citrus and yellow flower notes on the nose. This is supported with the creamy almond and white chocolate aromas derived from the oak. 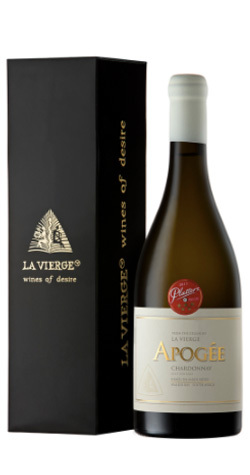 The wine has a full, textured palate that shows the delicate power that Chardonnay possesses. It has a balanced richness that finishes in a clean, mineral undertone that lingers on the palate. These Walker Bay vineyards of Hemel en Aarde Ridge are situated within close proximity to the Atlantic Ocean. The maritime climate being more “temperate” in style, where parallel mountain ranges channel the southerly sea breezes through the appellation during the summer. These winds in turn bring regular sea mists and overcast conditions to the valley and with it more even temperatures. The average temperature is 19° C and rainfall, approximately, 750mm per year. All grapes were harvested by hand in cool early morning temperatures. The specific vineyard is composed of clone 96, which accentuates the steely, mineral characteristics of the terroir. The highest altitude Chardonnay block on the farm is used which allows slow ripening and enhances the citrus and floral expression to come to the fore. The grapes were crushed and pressed and allowed to settle with the help of pectolitic enzymes. The clean juice was racked off after 24 hours and fermented in a new 500L Francois Frere blond toast barrel. The wine was sulphured at the completion of alcoholic fermentation to inhibit MLF. This was done to keep the freshness and natural vibrant acidity in the wine. The wine was left on gross lees and intermittent batonage was performed for 6 months. The total time in barrel was 11 months. Only a rough filtration took place at bottling.